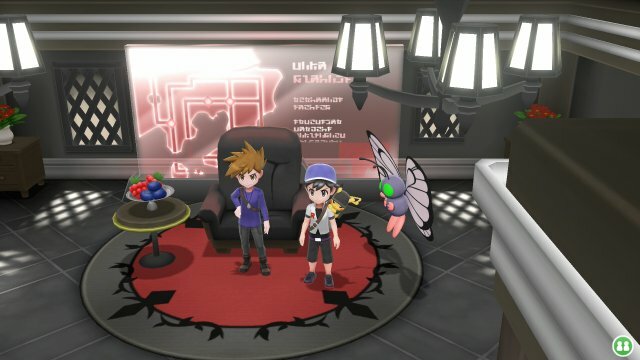 Blue was the main rival in the original Generation 1 Pokémon games, but Pokémon: Let's Go, Pikachu! & Let's Go, Eevee! changes that history up and Blue becomes a trainer that helps you along the way, having already done his journey. You first encounter Blue after defeating the Pewter City Gym Leader, Brock. 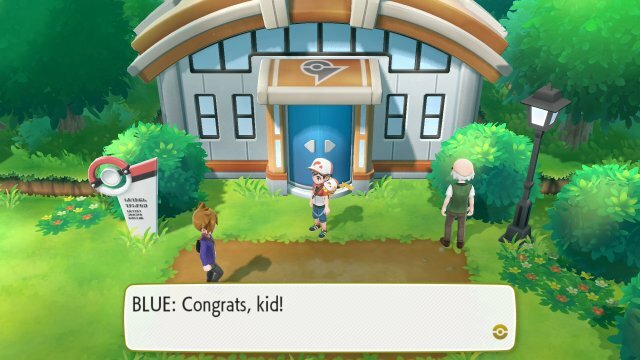 When you exit the Gym, Blue will approach you and tell you that his gramps, Professor Oak, has sent two new trainers out on their quest to catch all Pokémon. He explains that when he left on his journey, he didn't have a Pokédex and had to scribble on a map where he encountered certain Pokémon. He then gives you 5 Great Balls and leaves. 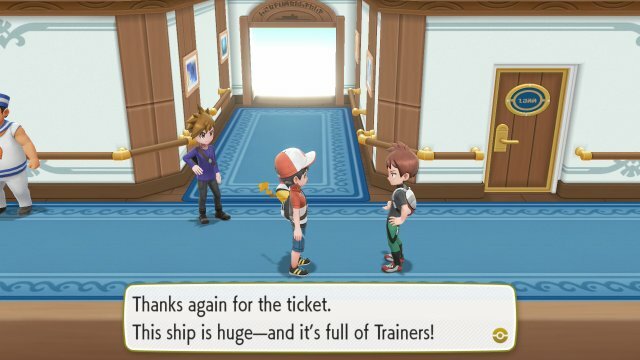 The next encounter with Blue is as you and your rival enter the S.S. Anne. He will come up to you and say he got invited to a special banquet but is done and heading off, giving you a Shalour Sable as a present. However, he then queries if you have heard about Team Rocket. He states he is looking into them and advises you to stay away from them before leaving for his investigation. After defeating Team Rocket in Celadon City and the Pokémon Tower, when entering Silph Co. to stop Team Rocket once and for all, Blue will be there and say he has been looking for you. 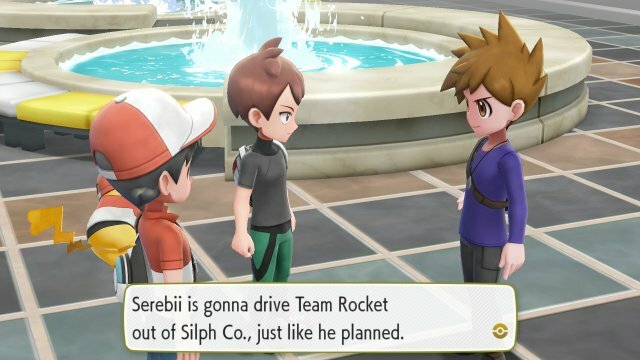 When discussing the plans, he decides it's good for you to drive Team Rocket out of Silph Co. and, while doing that, he'll go through Kanto taking out as many Team Rocket members as he can and then swing by the Pokémon League to inform the Elite Four of what's going on. However, before you go, he challenges you to a battle in order to make sure you are up for the task. 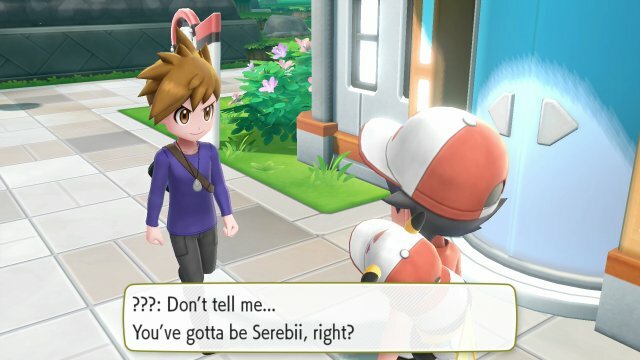 After you have 7 badges and you go to Viridian City to the Gym, you will find the Gym locked and so your rival recommends you go check in with Professor Oak. 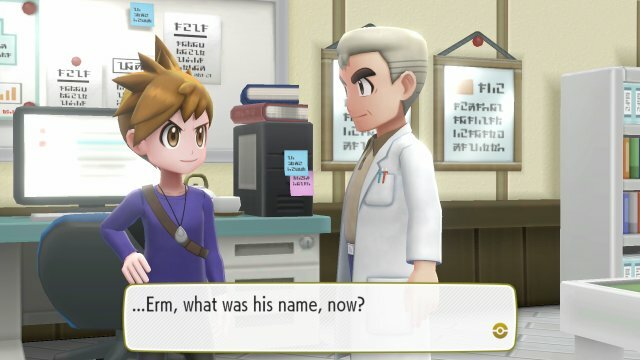 When you go see Professor Oak, Blue is also there. After congratulating on a job well done with Team Rocket, he gives you a special gift of a Key Stone, Venasaurite, Charizardite X, Charizardite Y and Blastoisinite. Asking why you're in Pallet Town, he decides to go investigate to see why the Viridian Gym is closed.